Firstly I'd like to apologise because obviously this article is not the planned piece on Afghanistan, but this week's events have really resonated with me and I think that something needs to be said about how we deal with the refugee crisis currently engulfing Europe. Don't worry though, the article on Afghanistan is in the pipeline. That said, let's take a look at the current state of Syria. The country has been engulfed in a grinding civil war since July 2011, protests against the depredations and misrule of the Assad government earlier that year spilled over into an insurgency that has steadily grown into the full blown civil war. Over the course of the following four years four more or less distinct actors have emerged. The Assad government still commands formidable military resources, and controls most of the South and West of the country, as well as the entire Mediterranean coast, The ports of Latakia and Tartus remain its critical lifeline to their main supplier of arms and equipment: Russia. The other major faction is ISIS, in control of most of the North Western half of the country. Their fighters are often able to offset their disadvantage in heavy equipment with an innovative style of fighting which combines conventional maneuver warfare with guerrilla tactics such as the use of mines and IEDs. From what we know from Iraq they also seem to be led by highly experienced people, some ex-Iraqi Ba'athist officers from the Saddam era included. On the peripheries of the country sit the remnants of the Free Syrian Army, who hold enclaves in the West of the country the largest of which is in the far North West along the border with Turkey. The FSA is by now an eclectic mix of democrats, communists, anti-ISIS jihadist movements and more. They do have a good number of experienced military personnel, mostly defectors from Assad's Army, and some western backing and equipment. Unlike ISIS the FSA has to rely mainly on guerrilla tactics and raiding, as it lacks the equipment and training to take on ISIS or the Assad government in conventional fighting. They also share an important alliance with the government of"West Kurdistan". The Kurds occupy two enclaves in the far North East and North West of the country, along the Turkish border. While the Kurdish armed forces are likely some of the most coherent in the conflict, their unity is based on a strong ethno-nationalist identity that seems to have broadly transcended political differences during this conflict. The socialist YPG or "people's protection" militia command the Kurdish military effort in Syria. Their fighters tend to be less experienced and trained than their ISIS counterparts, although the leadership has considerable military experience from the on-off guerrilla conflict waged against the Turkish and Assad governments. Despite this their fighters have proven steadfast when placed in good defensive terrain and given adequate support by Western air forces, inflicting an important reverse on ISIS at the border town of Kobane in late 2014. The military situation on the ground seems to have become a stalemate, with the two major factions unable to make real progress against one another and the smaller factions reduced to defensive and guerrilla operations. The war, if it continues as it has until this point, looks set to grind on for years and destroy much of the country's infrastructure in its course. 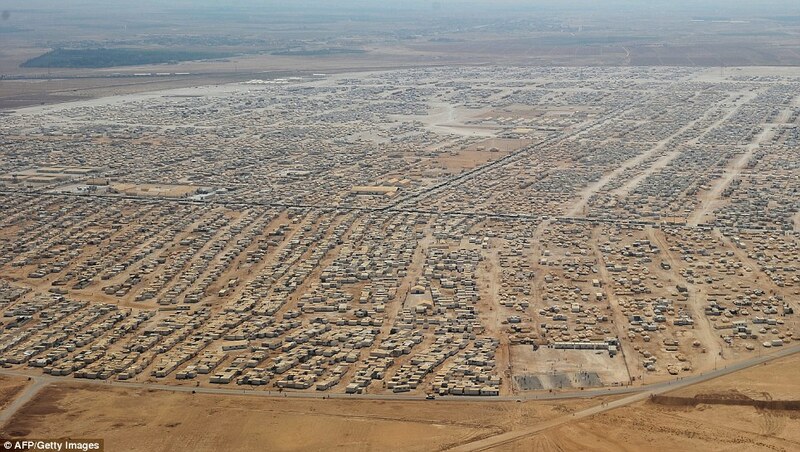 According to the UN High Commission for Refugees the conflict has officially displaced just over 4,013,000 people as of July 2015 (although the real number is likely higher). To put this into perspective the Syrian population in 2011 was just under 22,000,000, between a fifth and a quarter of the total population are now refugees in other countries. This doesn't include the estimated 6,500,000 internally displaced people. The largest refugee populations are in the countries nearest Syria, with 3/4 (3 million) of the refugees in Turkey, Lebanon, Jordan, Iraq and Egypt. Of the remaining 1/4 many have made their way to Europe via North Africa. Deciding how to manage these people has thrown the EU into crisis and proven to be politically divisive across the continent. Germany's preferred solution, a migrant quota system managed by the EU, proved unacceptable in the latest Brussels Summit. Since then the response has been largely deadlocked at the EU level and national governments have started taking measures of their own, such as Hungary's construction of a border fence. Throughout all of this Britain has played a reasonably quiet but important role, contributing the second largest aid package after the United States (worth some £900 million) to improving the refugee camps in Jordan and Lebanon as well as mitigating the effects of the conflict in Syria itself. However, the UK has come under intense recent criticism from some quarters, especially in Germany, for its refusal to accept greater numbers of refugees. This is especially important to the Germans, considering that Chancellor Merkel is predicting that they could see an influx of up to 800,000 asylum seekers, mostly from Syria, by the year's end. Crisis appears to be piling upon crisis, producing movement of people on a scale not seen since the Second World War. 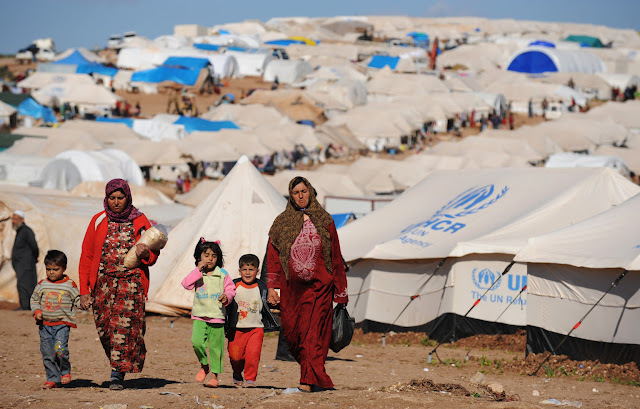 What has been missed is that Britain has been saying the right thing about the refugee crisis from the start: treating the symptoms by taking in refugees is no solution compared with treating the cause by bringing peace and stability back to Syria. While this is far easier said than done it is the correct position. The war in Syria is out of control, and now the crisis is sat staring at the White cliffs of Dover. We can no longer afford to remain a passive observer. This may be where you could expect me to launch into a polemic on the necessity for Western intervention, as I suggested would be the right course of action in Iraq. But Syria is not Iraq and the solution to this problem is sitting right in front of our collective noses: the refugees themselves. Within the Syrian diaspora is all the manpower, leadership potential and technical skills necessary to retake and rebuild that country. What they need is housing, organising and equipping. I'm not just talking about recruiting and training a new Syrian Army from the refugee population (although this will be essential), but also creating a government, judiciary, medical services, brigades of people responsible for reconstruction of key infrastructure and a light paramilitary force capable of basic law enforcement. We would need to generate all the institutions necessary for the administration of a medium sized state, some as a nucleus to be built upon and some as fully formed services, before re-introducing them to the country as the leading force in an international intervention. We have 1/4 to 1/5 of the country's total population sat in camps outside of Syria or displaced to Europe. By some predictions at the end of this year there will be over a million Syrians in Europe. If we in the West can tap into the sheer human potential of this body of people, give them purpose and help them retake and rebuild their country there really are few limits to what we could achieve. Let me be clear, this would not be taking in refugees because it looks like a good humanitarian thing to do. We would be pursuing a hard-nosed political and military strategy designed to further our interests in the region: removal of Russian influence from Syria by overthrowing Assad (something we're already committed to), the installation of a popular and democratic pro-Western regime in Damascus, the defeat of ISIS in Syria and the restoration of stability to the Eastern Mediterranean which would allow refugees to begin returning to Syria. This wouldn't be cheap or easy, the construction of a competent new Syrian army, to be trained and equipped to Western standards, alone would take years and cost billions. That said, by the debates over equipping the FSA and the dispatch of training missions to aid Iraqi forces the West seems comfortable with training and equipping local forces to do its fighting. What I'm suggesting is that we do this on a vast scale, dividing the effort across Europe and the United States. This is hardly a new experience for the West either, the UK and US (and NATO nations in Afghanistan) have built essentially new armed forces from scratch in the past in far more difficult conditions. If we can muster the will and leadership we could do it again. Earlier I stated that the crisis was "producing movement of people on a scale not seen since the Second World War". Well maybe we should look to the free forces of WW2 for inspiration, drawn from refugee populations and the shattered remnants of armies from all over Europe. Britain took them in, trained them to modern standards and armed them with US equipment before they symbolically led the liberation and rebuilding of their countries alongside the Allies. Maybe General David Richards was right when he said that the UK "must go onto a war footing" to defeat ISIS. The only real solution is for the Syrian people to liberate their own country from the tyrants and terrorists who have taken control of it. If we in the West enable them to do this, by turning the refugee population into the basis of a new Syrian state, then we may just achieve a truly great liberal intervention. So yes, we should accept more Syrian refugees into the UK, but as part of a concerted effort to put an end to the Syrian Civil War and ultimately rebuild that country.